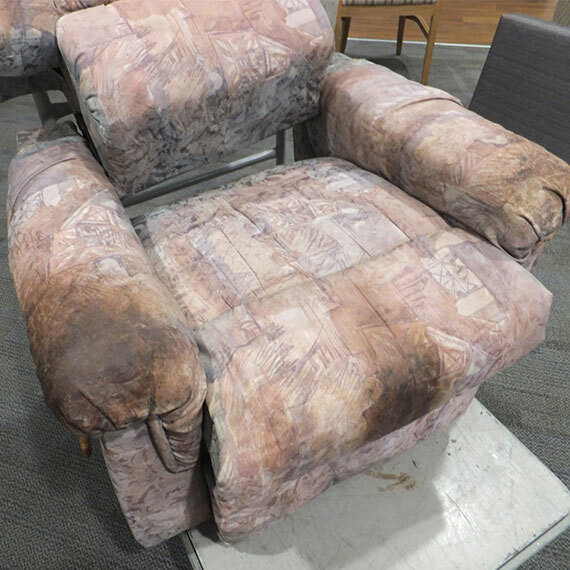 This is a carpeted lounge area in a medical facility that was totally covered in food and coffee stains also human stains including blood. 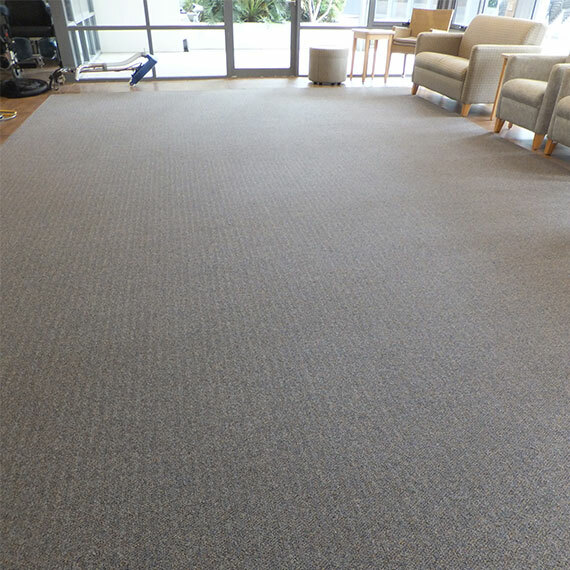 After our multi- step cleaning process, the carpet came up as new, beautiful and bright. The process is made up of vacuuming, spotting, pre-spray, scrubbing and then hot water extraction. 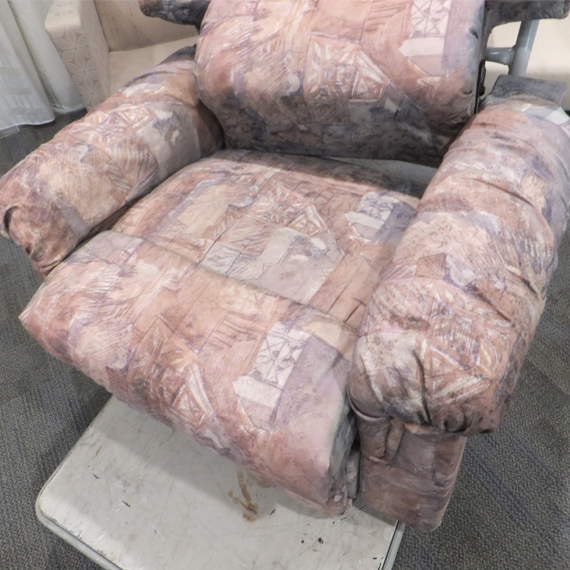 These are photos of some staff dining room chairs at a medical type facility. They were extremely filthy which does not really show on the photos. After our multi step cleaning approach they came up so clean they looked like new. The cleaning process includes vacuuming, spot cleaning, pre-spray, gentle scrub with a horse hair type brush and hot water extracting. 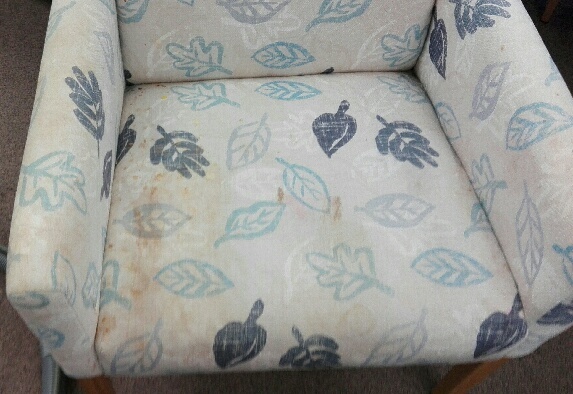 This is a recliner owned by an elderly person which looked somewhat impossible to clean. But the client asked me to give it a go. 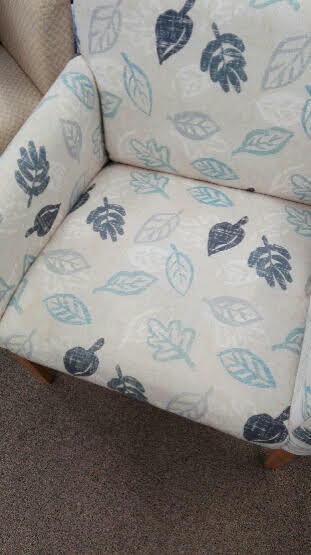 I did and it turned out fabulously by using our multi-step upholstery cleaning method. 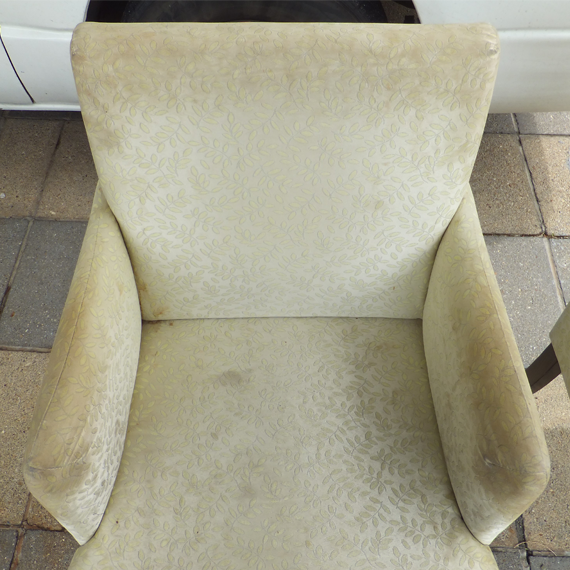 This is a vinyl chair that has had a hard time of it over a long period of time. It came up better than expected. Wow these guys are amazing. Not only did I contact them after hours for a quote but he was available to clean my couch the next day. 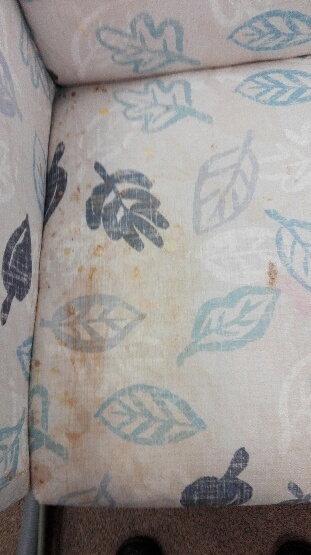 It’s like the stain was never there! Highly recommend. Very friendly, professional and reasonably priced. I will be using them again! Tim did an amazing job with our challenging carpet. An absolute pleasure to work with and left us great advice and some solutions to go on with. Thanks Tim – will use your business again and definitely recommend you to anyone looking for highly professional and friendly service. Absolutely 5-star rating for Tim of Ultra Clean. 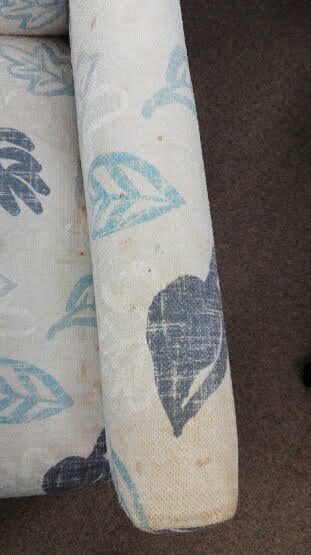 Our carpets were in very bad condition and Tim brought them back to life! I highly recommend this company. We had you come around to our house at Burleigh Waters to try and clean up our dog poop on the carpet. You were awesome to deal with. Thank you for a great job on my carpet. It is looking new again. 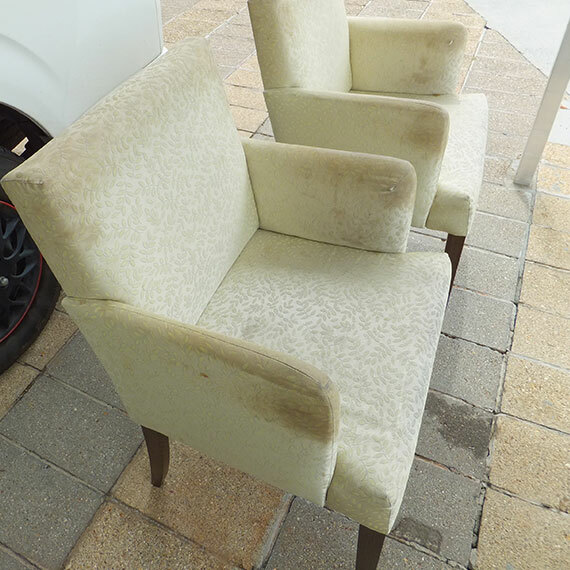 The lounge suite is also looking new again, all stains gone. Thank you again for a great job. First class job on a difficult cream carpet! Came out better than I hoped for. Tim cleaned up afterwards and even the Real Estate was impressed! Highly recommended, 5 stars. This was the 4th time I have used Tim and Ultra Clean Services over the last 4 and a half years. Thanks again Tim. I would highly recommend Tim and Ultra Clean Services. I called around a few companies and Tim went above and beyond to fit us in at last minute, he even fit us in on a Saturday. He is punctual, reliable and did a great job. I would have no hesitation in using him again and recommending him to friends, family and colleagues. I would highly recommend Ultra Clean Services. Tim was extremely professional, friendly and responded quickly to my carpet cleaning needs. I also thought compared to other carpet cleaning services the most affordable. They did a great job and I would definitely use them again. I’ve had Tim from Ultra Clean Services do a full house carpet clean on two occasions now. Both times he did a really great job! I would recommend Ultra Clean Services! A fantastic job, at a very affordable price. Thanks, Tim! I was searching for a company to clean a wool rug from my children’s bedroom, because our dog kept sneaking in and sleeping on it. I called Ultra Clean Services and found they were just around the corner from our place, so I dropped it off on my way out one day. 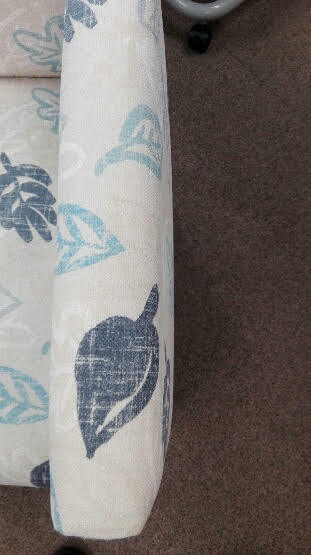 The rug was ready to be picked up before the estimated turn around, and at an affordable price! I couldn’t believe it was the same rug! The wool was so clean, and it smelt fresh. I would absolutely recommend Ultra Clean Services. Very friendly, helpful and prompt with their service. Thank you again! I just wanted to say thank you so much for the amazing job you did recently with carpet cleaning and pest control for my break lease. Your workmanship is outstanding and your prices are certainly affordable. But above all your customer service and friendliness comes second to none. I’m very appreciative and will be highly recommending you to all of my friends and family. 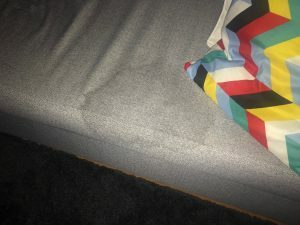 I arranged for Tim to come and clean my carpets and do some stain removal, as I have kids and a dog who have made some spots that I am unable to remove. Tim turned up on time and was so nice and courteous and so professional. 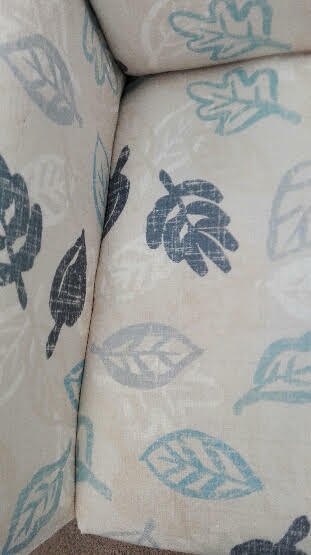 He did such a great job and even managed to remove a black ink stain from my cream coloured carpet. I would recommend him to anybody that wants a professional job and also such a nice person to deliver that job. Tim from Ultra Clean services turned up at our house within 10minutes of contacting him. We’d tried contacting several ’emergency’ cleaning agencies but none could help for days. (It was a Saturday afternoon of the long weekend). Tim thoroughly cleaned and disinfected the entire area AND returned twice to ensure the area had dried correctly. We were so grateful for his prompt service, his calm and professional demeanour and also his fair and competitive pricing. We would highly recommend his service and are sincerely grateful for his excellence in our emergency situation. Would highly recommend Tim. He’s cleaned our carpets a number of time’s now and always provides a professional prompt and friendly service. He prides himself in his work and we have always been very happy with the end result as he goes the extra mile. Thank you for cleaning our lounge. Not only did you do a brilliant job you were personable and friendly. 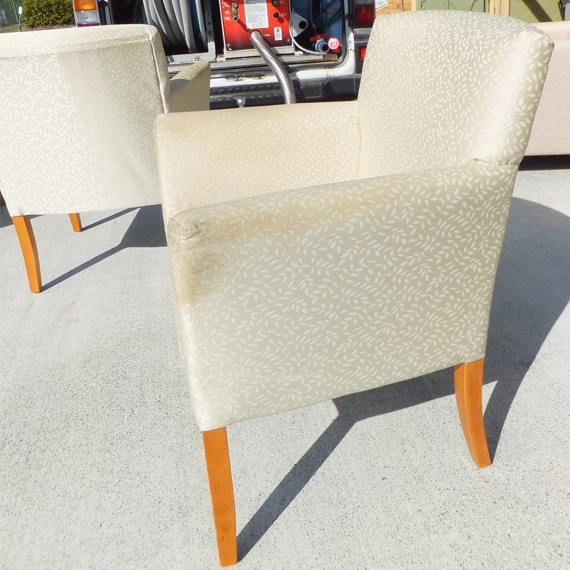 Honestly I didn’t believe you could work you magic on our lounges and they are like new! Any what a difference to our rug! Fabulous! Would highly recommend you and your company over and over. I can’t recommend Ultra Clean Services enough! They are absolutely fantastic, professional and affordable! Having a toddler means our carpets are often very dirty and stained but Tim always brings them back to looking new. Now we would never use any other carpet cleaning company. Thanks Tim for your excellent service! My Daughter vomited all over mum’s brand-new carpet! I texted Tim at 8:30 om Saturday night and he responded so quickly and was able to come out the following morning (Sunday) to clean up the carpet and also cleaned the bed mattress as well!! I would recommend Tim and will be using him again! 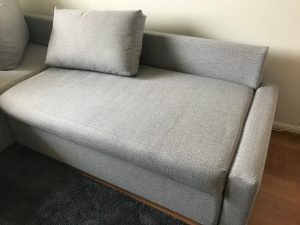 Thank you very much for the wonderful job you did, the couch is like new and the carpet is the cleanest it has ever been, would have no hesitation in recommending you to anyone, once again thank you for such a good job! 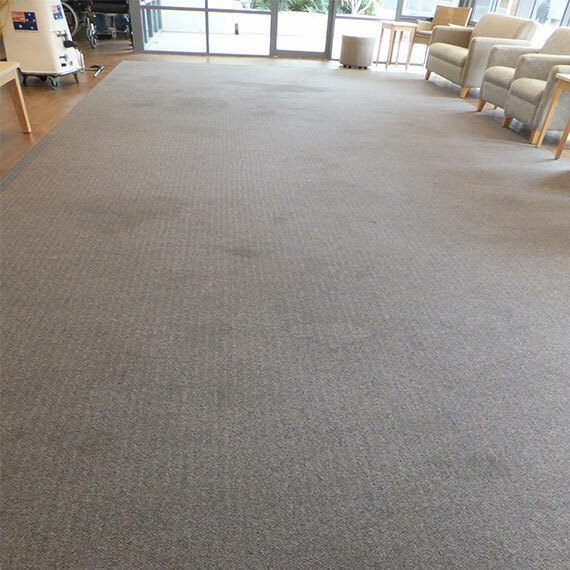 Ultra Clean Services Gold Coast served us well, with a fast and efficient carpet cleaning job done by Tim. The carpet has come up looking refreshed and new. Definitely recommend this company. Thanks. We have been using Tim from Ultra Clean Services Gold Coast now for quite a while for all of my property managements in the Tweed/ Gold Coast region. Tim is enthusiastic, efficient and does a good job for a reasonable price. We would recommend Tim to anyone wanting bond carpet cleans, house cleans, or flood restoration (especially with recent events). I can’t recommend Ultra Clean Services Gold Coast highly enough. My family has used Tim to do our Bond Clean and I can testify to the amazingly efficient and professional clean. 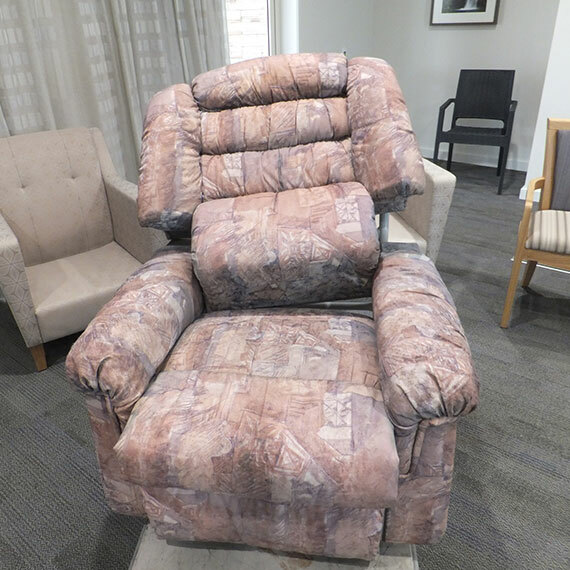 I also know Tim and his wife from my workplace……a large Aged Care Facility and I see how much they care. I would recommend them to anyone as I trust that they will deliver an incredible clean. Today I had the pleasure of having my carpets cleaned by Ultra Clean Services Gold Coast who came highly recommended by a family member. 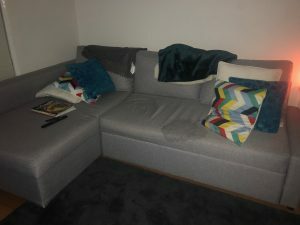 Not only was the carpet done thoroughly and professionally and left smelling fresh, the operator/owner was very professional and friendly and I understand why he was recommended to me. I too, would highly recommend this company, for the above reasons, and also value for money.I will certainly continue to use this company for every service and encourage all to do the same. I called a number of different companies, but Tim was the most prompt in getting back to me – so he received my business. I was very impressed with Tim’s professional manner and quality of the service. I would highly recommend him to anyone considering carpet cleaning or pest control and would definitely book him again. He is polite, prompt, courteous, professional and has impeccable communication skills. You have done wonders with my carpets they have never looked better . After having all 3 of my kids living with us there partners and our 2 grandkids our carpets were disgusting u have bought them back to life. Ultra Clean Services have been our carpet cleaners of choice for a number of years. As a building manager with in excess of 80 apartments to maintain, we found Ultra Clean quickly became part of our team of reliable, efficient, cost effective tradies who worked with us to maintain standards. 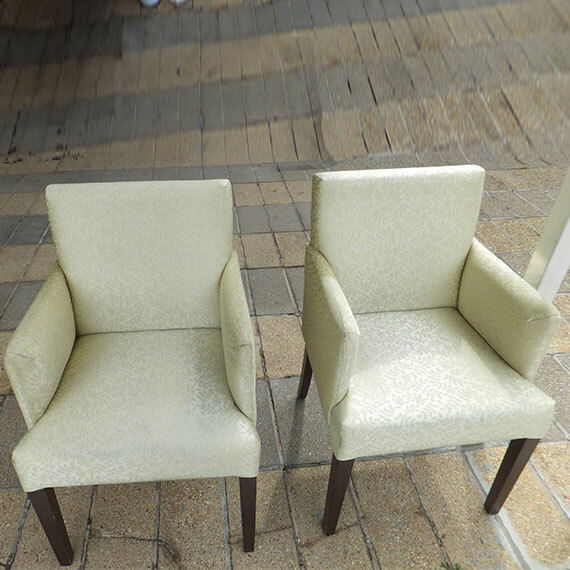 Always polite, friendly and conscientious, Tim is professional in his approach and very thorough in his cleaning – ensuring all furniture is moved to enable full cleaning of carpeted areas. Tim also cleans our tiled body corporate common areas on a regular basis, and again the finished product looks great. We would certainly recommend Ultra Clean for home, office, apartment or body corporate tile or carpet cleaning. I am writing to recommend the services of Ultra Clean Services. I have recommended their carpet cleaning services for the past year for the tenants that are vacating their unit. I know the carpet cleaning will be done properly; they are always punctual and have a “can do” attitude. No job has been too large or small. Ultra Clean Services pricing is competitive and their response to our requests have always professional and friendly. I’m happy to recommend the services of Ultra Clean Services. If you have any questions, feel free to contact me. Tim is extremely thorough, prompt, polite and professional. He always goes above and beyond which is why our carpets are always looking brand new. I highly recommend Ultra clean to anyone looking for quality service. 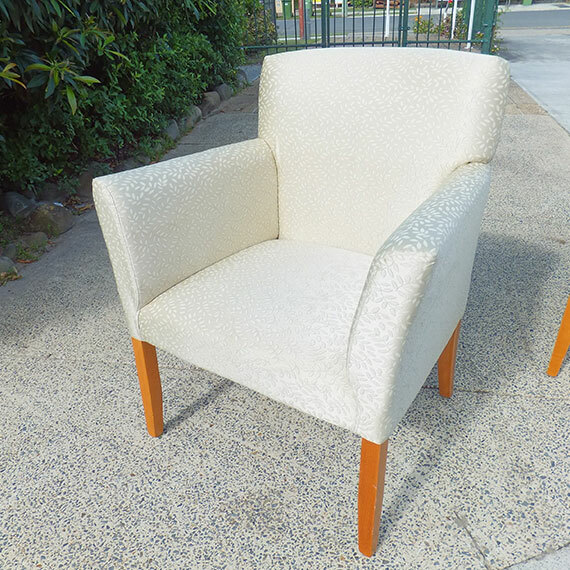 We contacted Tim from Ultra Clean Services Gold Coast just two weeks before Christmas 2015, which is the busiest time of the year for this type of services just like many other households doing a major clean before families and relatives arrive to stay for the festive season. Tim could not be any politer and accommodating in getting our carpets & lounge suite clean at this hectic time of year he is prompt, nothing short of professional and got the job done way above our expectations at an extremely affordable price, this is one company we will be using again & again & we have no hesitation in recommending him to our friends and business associates for his fantastic services. I can not recommend Tim from Ultra clean services enough! 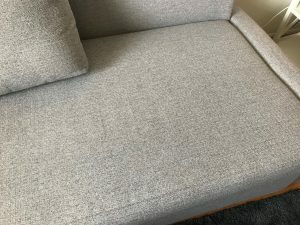 In the last 12 months we have called Tim to work his magic on our carpets and upholstery half a dozen times and every time he has done an amazing job, with having two babies and cream carpet there has been very stubborn stains. 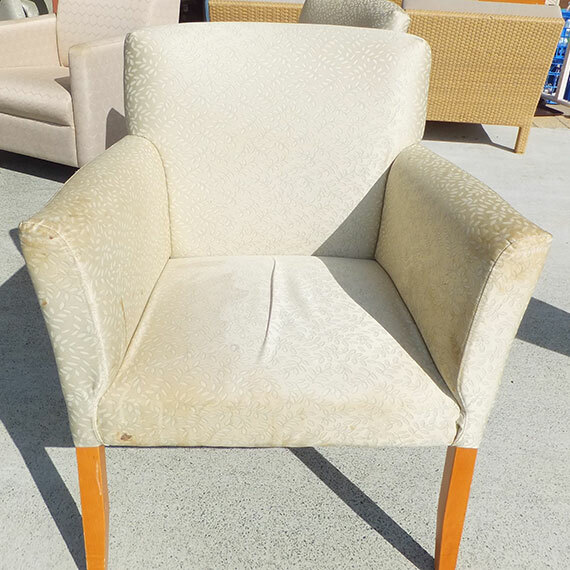 Tim is always prompt, punctual and does a truly great job of bringing tired furniture and carpet back to life! So go ahead and contact Tim from Ultra Clean Services you won’t be disappointed and your carpets and upholstery will love you to bits! We frequently use Tim from Ultra Clean Services as our preferred carpet cleaning contractor through our office here at Professionals Star Realty. We couldn’t recommend Tim and his company highly enough! Tim is always extremely helpful and always a pleasure to deal with. We will without a doubt, continue to use Ultra Clean Services, company for many years to come.